Sometimes I get so excited about a new foodie find, that I need to share it with the world. And this is exactly what happened when I visited Tea 4/2 in Manchester last week. FYI this is in no way a sponsored post - it was just bloody lovely. I'd walked past this cute and quirky cafe-esque eatery a million times but I'd never actually been in. Being gluten free means it's generally pretty tricky to find somewhere for an afternoon snack when I'm out and about. However, my prayers have now been answered and I've found my go-to place for my regular visits to Manchester. 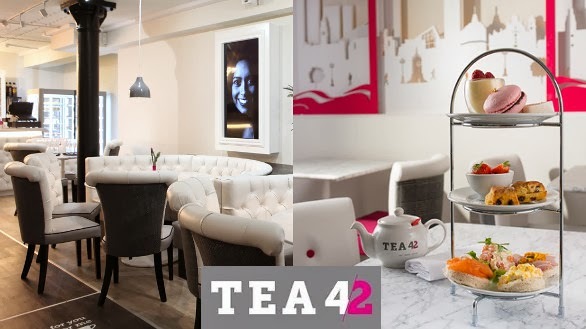 Tea 4/2 offers a pretty much entire gluten free menu: cakes, pies, afternoon tea and more - making it the ideal spot for me. I could order ANY cake, which I was amazed by and I was truly spoilt for choice - not something that happens very often in GF living. 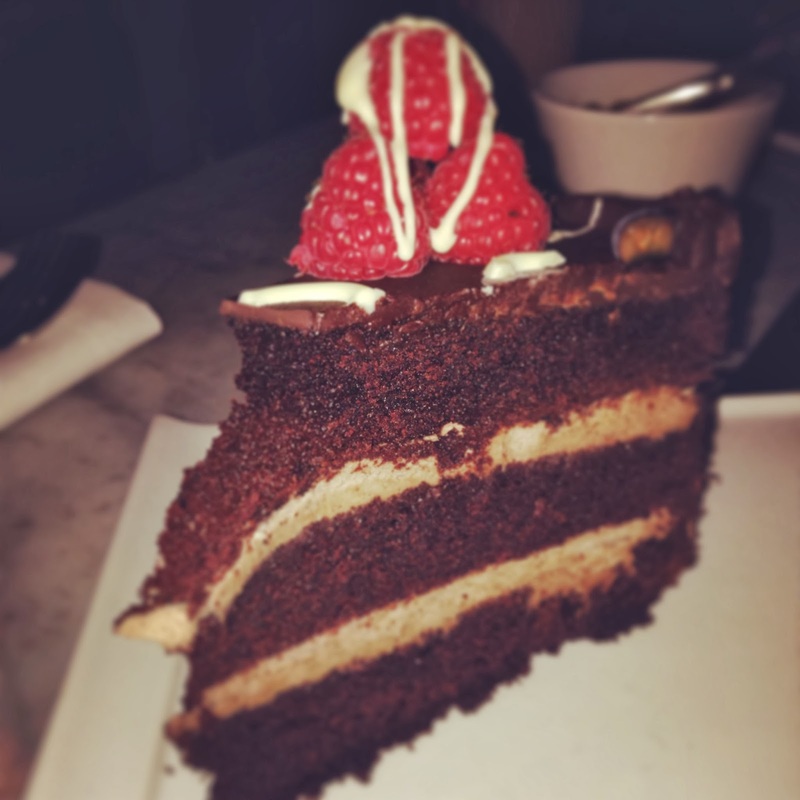 After much deliberating I finally settled for the chocolate layer cake, and my God it was good. Charlotte went with the chocolate brownie, which looked equally delicious and we some how were both defeated by the huge portions. As well as a crazy selection of GF goodies, Tea 4/2 offers a lot of choice when it comes to tea. I'm not a big tea drinker, but I can certainly say a few of the flavours sounded amazing - I've been eyeing up 'Cherry Pop' for my next visit. I seriously can't wait for my next trip to Manc! I went there a few weeks ago and got the GF afternoon tea. That much cake and bread is still a shock to the system, right? I was full for days! So glad you nada nice time. I'm a vegetarian and trying to find someone where they have a good selection on the mean is like gold dust so I know how you feel! Looks gorgeous, I am a big fan of all things afternoon tea related! Might have to make a visit here next time I am up north. that cake looks heavenly:D that place looks lovely!